Risa has nearly 30 years of experience in public relations and marketing. Prior to founding GMG Public Relations in 1991, she was a Director of Public Relations with Ernst & Young with responsibility for media placement, writing feature articles and press releases, developing and coordinating special events, market research, and the design and placement of advertising. Risa has been active with numerous not-for-profit organizations. She is a founder and the current President of the Greater Nanuet Chamber of Commerce and serves as Executive Vice President for the Rockland Business Women's Network (RBWN) as well as a board member for Meals on Wheels. Risa was selected to be a mentor through The Gerald P. Buccino Center for Leadership Development at Seton Hall University's Stillman School of Business and is serving a third term in that position. 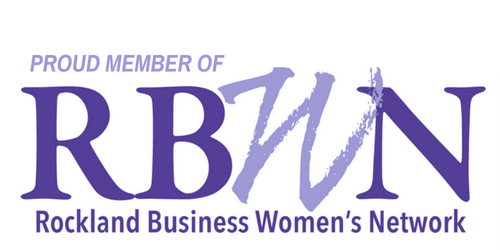 She has held numerous board positions with the Westchester Association of Women Business Owners (WAWBO) over a fifteen year period including President and twice received the organization’s President’s Award. She has also served as Vice President for the WAWBO Education Fund and for the Partnership For A Better Westchester, an organization she helped launch in 1997. She is a past Public Relations Chairperson for the Advertising Club of Westchester as well as a past Vice President of the Tappan Zee International Trade Association. She has served on the board of the Orange & Rockland Community Investment Committee and the Hudson Valley Visiting Pet Program. She is a member of the Public Relations Society of America and a recognized seminar leader, presenting numerous public relations, marketing and social media workshops. An accomplished business writer and source, Risa has appeared on several radio and television programs and has been quoted and featured in numerous national and local publications. She is the creator and co-host of a radio show titled The Bigger Picture which highlights Rockland's hardworking entrepreneurs who find time to give back to the community. She is a member of the 2018 Class of Leadership Rockland and was the recipient of the RBWN Service Woman of the Year Award in 2017. Risa Hoag was recently interviewed by Clarkstown Town Supervisor George Hoehmann on his show talking about the Nanuet Chamber of Commerce and The Chamber Alliance of Rockland. Click on the LoHud logo to find out why I wear the Giving Hat. Ask me about these great networking opportunities! Proud to be a DesignRush agency. Risa is also a Certified Inbound Marketing Professional and can answer all your new media and social media questions! Call today and speak with Risa! 845-627-3000 or send her an email at risa@gmgpr.com .